Built in 90 - 92 AD with contributions by rich citizens of Gerasa, it has not only been a place of performances but also of political assemblies. Due to the orientation to the north the up to 3500 spectators did not have to look against the sun. 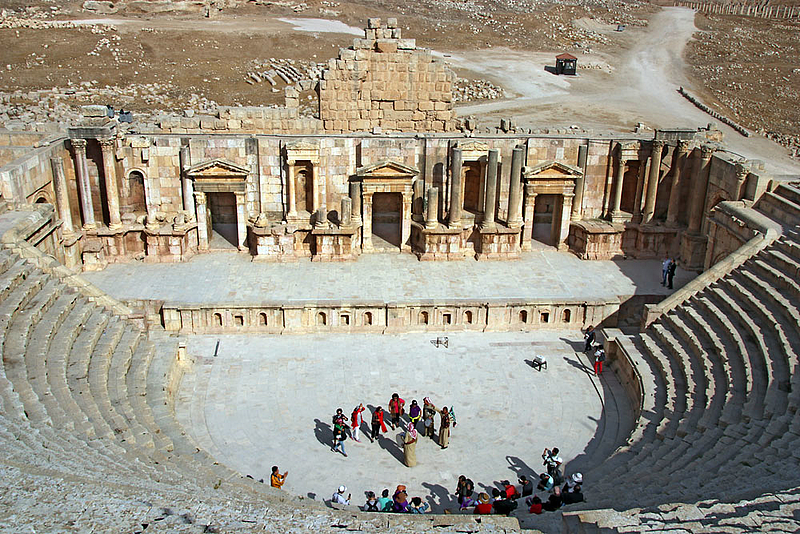 The South Theatre has been extensively restored, and is one of the main venues of the contemporary Jerash Festival of Culture & Arts.